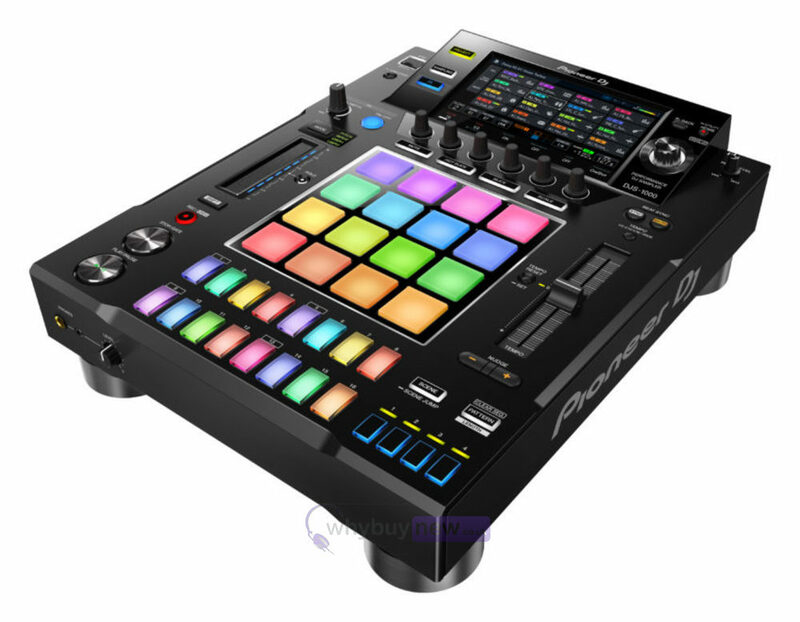 The Pioneer DJS-1000 is a stand-alone DJ sampler equipped with a 7" full colour touch display, 16 large multicoloured performance pads and 16 multicoloured step input keys. Its intuitive user interface is DJ-friendly and its design makes it suitable for club performances, sitting perfectly alongside the CDJ-200NXS2 or XDJ-1000MK2 and DJM-900NXS2 in the DJ booth. 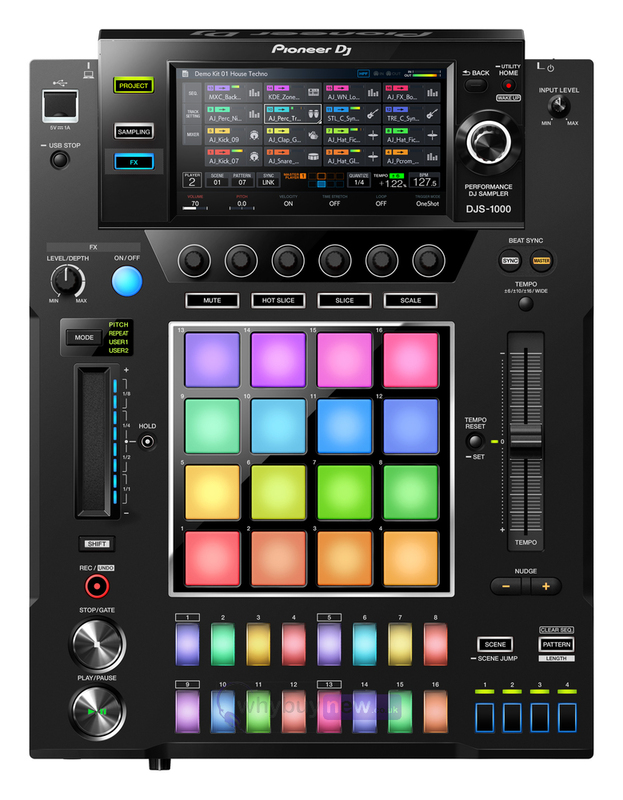 Many of today's professional DJs use electronic instruments and production gear in their live sets to help make their performances creative and unique. With an easy-to-use interface, 16 multicoloured step input keys, 16 multicoloured Performance Pads, a host of inputs and outputs, plus various other performance features, the DJS-1000 is the ideal musical instrument to take into the booth and propel your sets to the next level. Add the DJS-1000 to your DJ set-up and you can intuitively create unique sounds and phrases in advance of your set, or on the fly, then sequence and loop them as you wish. Improvise a new groove by syncing and mixing with tracks playing on other equipment such as CDJs using the Beat Sync, 1 tempo slider and nudge features. At a glance, the 7-inch full-colour touch screen gives you all the information you need to perform, thanks to easily recognisable sequence patterns and instrument icons assigned to the Performance Pads. Here we have the Pioneer DJS-1000 in brand new condition and in B-Stock. The B-Stock versions would have been on display at a training evening or trade exhibition only and will come boxed 'as new' with all accessories and a 1-year warranty. Easily create a new groove by tapping the 16 large, multicolored step input keys. You can keep an eye on sequence information on each track thanks to the keys' changing colours. Use the 16 large rubber pads to trigger the tracks you've assigned samples and loops to. Each one is equipped with multicoloured illumination and highly accurate velocity detection, so you can increase or decrease volume with the amount of pressure you apply. Home screen: View information on the sample assigned to eachtrack thanks to the instrument icons and colours which are linked to the pads. Support for USB devices: Manage your projects and samples easily. Over 2,500 on-board Loopmasters samples: Start performing with the DJS-1000 straight out the box. SCENE3 files on a PC/Mac. Support for project files created on the TORAIZ SP-16.